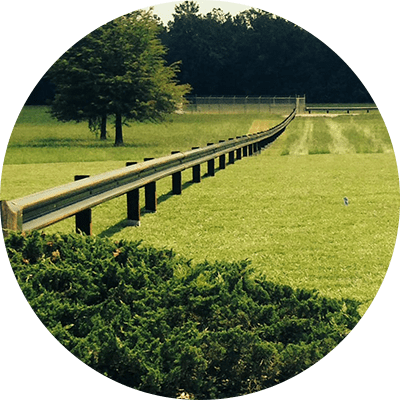 Carolina Guardrail services North Carolina, South Carolina, Virginia and has OVER 30+ Years Combined Experience. We participate in State & Federal Aided Projects as well as Residential, Municipalities, Commercial, Retail, & Industrial projects. Our crew has decades of experience working together and it shows in our workmanship. 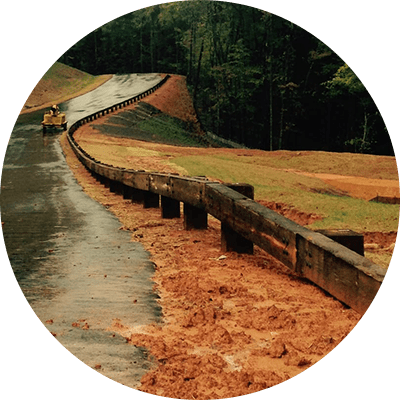 Carolina Guardrail offers Department of Transportation approved highway steel beam and several types of wood rail and guide rail installation, which are used for the protection of people, property or act as a vehicular barrier. 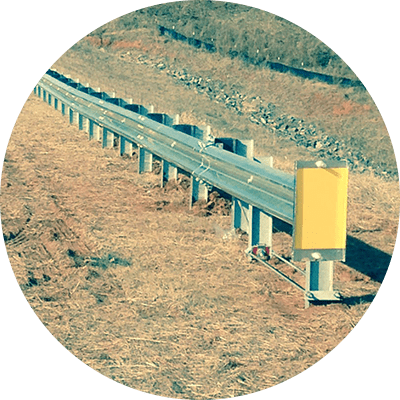 We can help you improve on-site safety and efficiency for your workers and equipment with a variety of material options from pipe bollards, and assorted indoor safety rail barriers that are concrete mounted for indoor protection. 10 and 12 gauge W-beam panels 12'6" & 25' lengths including convex and concave radius panels which can be shaped according to specifications. Sturdy and functional security bollards protect your workspace inside and out from collision damage. Weathering steel that rust to a natural brown finish giving it a complimentary look. TimBarrier System - Steel Back.